We have been installing vehicle graphics since 1991. We take seriously the challenges that new materials and new auto designs bring to our proffession. 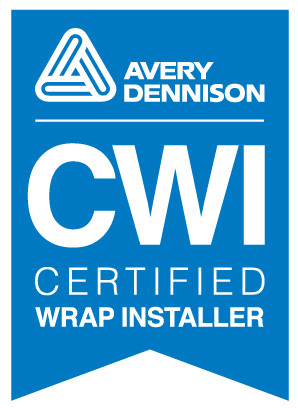 We have taken training and been certified in vehicle graphic and wrap installation by Avery Dennison and Fellers. We recommend that wherever you have your vehicle graphics or wraps applied that you choose a certified installer. This will insure that your graphics and or wraps will be installed correctly giving you the longest service life. We have a 2000 sq. ft. Air conditioned bay for controlled environment during installations. We also install on site and serve Tulare, Kings, Fresno, & Kern Counties weather and facilities permitting.